3.5mm female to 2 Dual RCA Stereo Audio splitter. 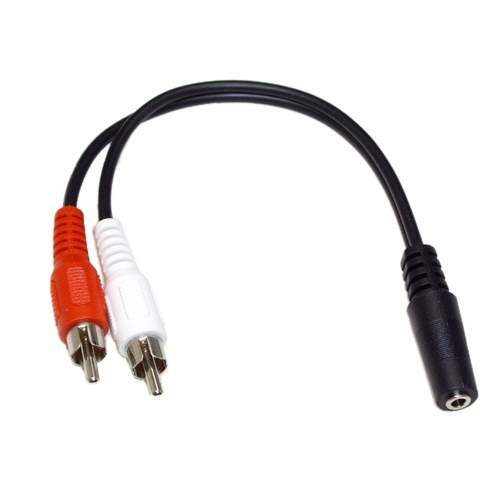 Used Primarily to convert 3.5mm Stereo Audio Cables into a Dual RCA Connector Set. Very Popular for use with LCD TV that only have dual RCA Audio Connections. THese Convert the 3.5 Stereo Male Cable into Dual RCA Connectors.